This past Friday I went to Munich to prepare the SAQA-Exhibition "Made in Europe" for its two-week sojounr in Munich. 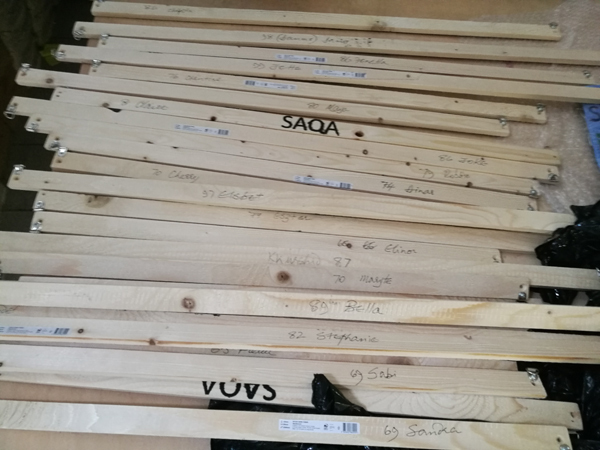 Due to the fact that this was a very well prepared shipment that I had received, hanging was quick and easy, I was finished after just over two hours. Here is a glimpse into the gallery upstairs. 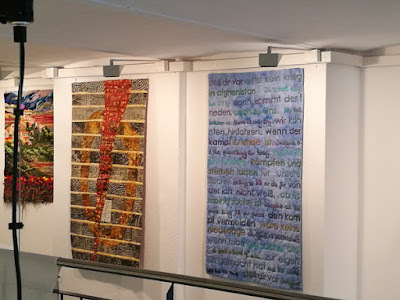 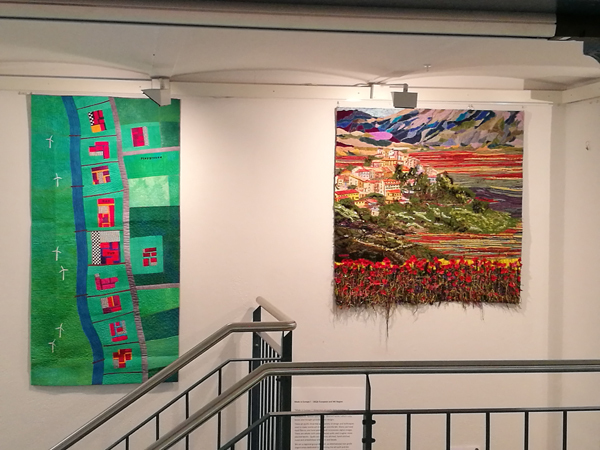 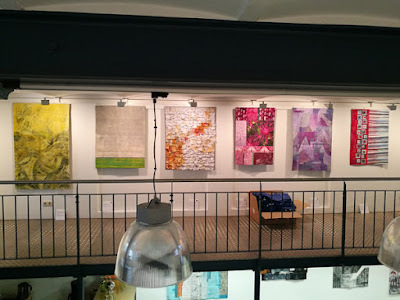 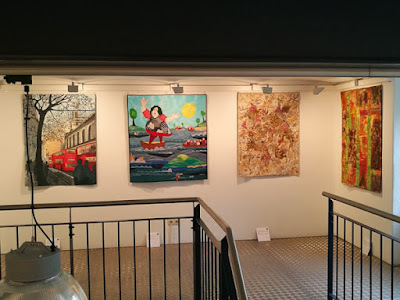 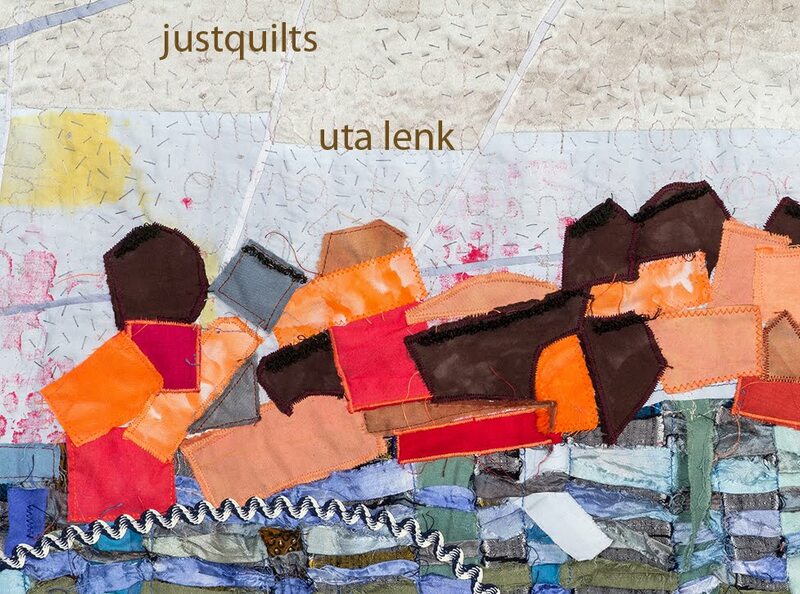 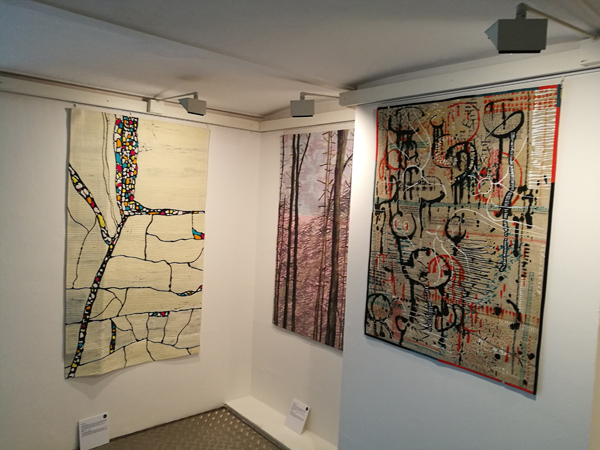 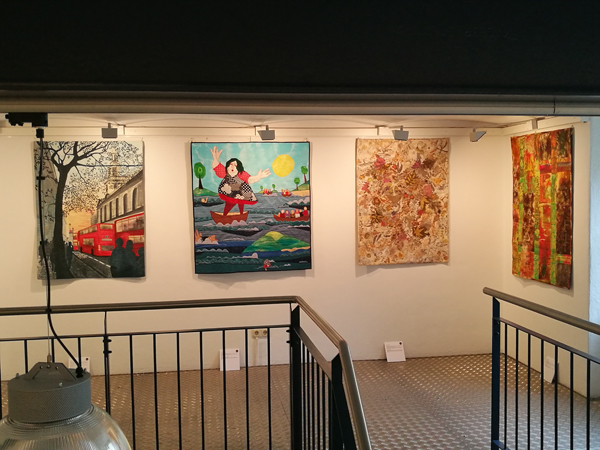 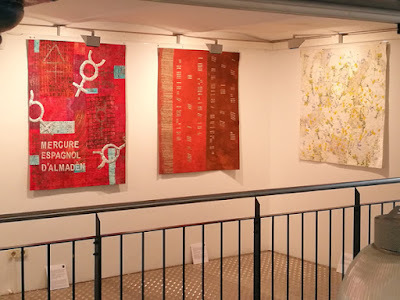 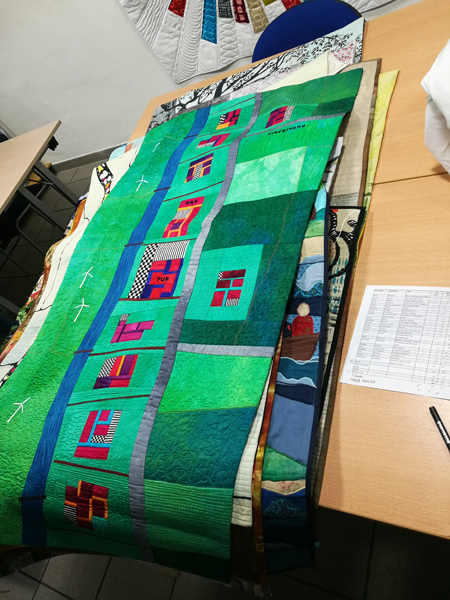 The gallery is open during shop opening hours of quilt et textilkunst until the 14th of July.